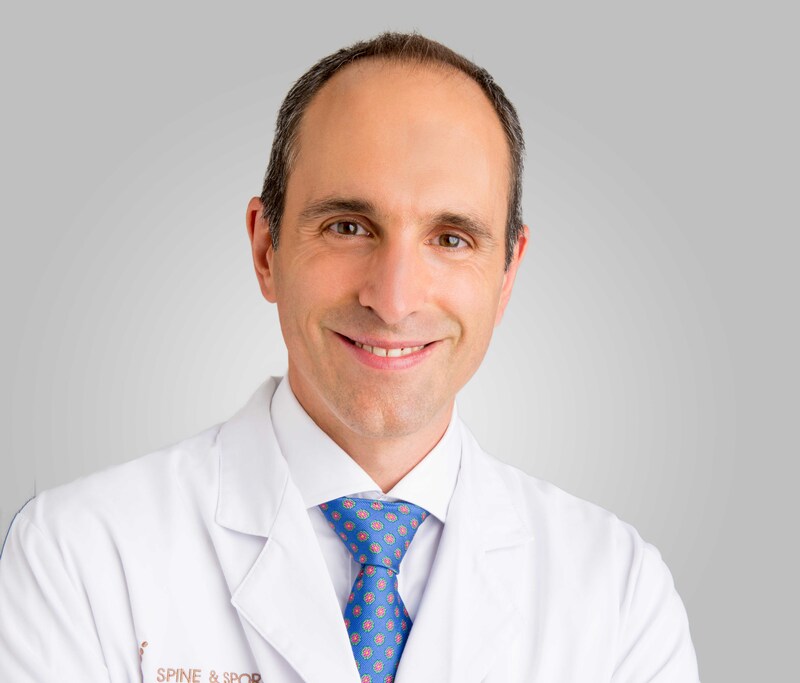 January 31, 2016 By Andre Panagos M.D. An anti-inflammatory diet is one in which fresh fruits, vegetables, meat and seafood are eaten with little or no intake of processed foods. The purpose of this style of eating is to eat foods that are high in vitamins and minerals along with healthy proteins and fats to support the growth and repair of your body. These foods also tend to be lower in calories than processed foods. 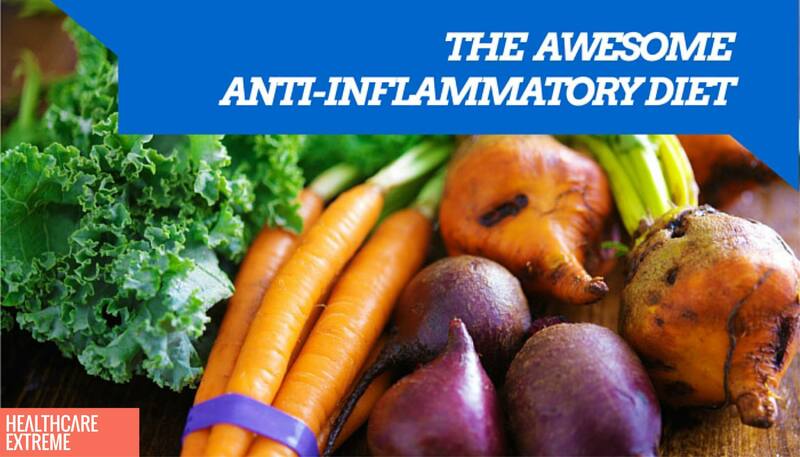 Why is an anti-inflammatory diet important? Now more than ever, our society is plagued by a wide variety of chronic diseases. And while it may not be accepted by mainstream society, it has everything to do with your diet. Scientific research and clinical experience have shown that dietary modifications and administration of nutrients and other natural substances are frequently and almost consistently effective for both preventing and treating a wide range of symptoms and illnesses. Over the past several generations, we have established a new standard diet of highly processed foods that are high in sugar and fat and low in fiber. Furthermore, modern farming techniques are designed to produce high crop yields at the expense of low nutrient density. As a result, we consume more calories with fewer vitamins and micronutrients than our ancestors did. Many experts believe this is a major cause of chronic diseases such as heart disease, cancer and chronic pain. Why is sugar such a problem? The average American consumes 44 teaspoons of sugar per day. Sugar is used to mask inferior ingredients in products, improve flavor, and has over 50 different aliases in the list of ingredients such as high-fructose corn syrup, dextrose, rice syrup, mannitol and evaporated cane juice. Sugar is one of the most dangerous and addictive substances in our diet. Research studies have shown sugar to be more addictive than alcohol, cocaine and even heroin. Artificial sweeteners such as Aspartame (NutraSweet®) breakdown to components that are known to be neurotoxic. We all know that excessive sugar consumption contributes to obesity and tooth decay but it also contributes to the development of other symptoms and diseases including chronic pain, fatigue, anxiety, migraine headaches, high cholesterol, liver disease, osteoporosis, hypertension, diabetes mellitus, cancer and heart disease. Gary Taubes Is Sugar Toxic? What is wrong with bread? We cannot tell you how often we hear our patients tell us, “I love bread and I can’t live without it” and we understand, as it is a staple in cuisines around the world. Over the past 50 years however, wheat has undergone a dramatic and drastic makeover. Hybridization and genetic manipulation by agricultural scientists focused on increasing yield have turned modern wheat into a distant relative of the grain our ancestors once consumed. The current strains of wheat that are available today are so unique that they are unable to survive in the wild without human support and many scientists also believe that wheat has begun to interfere with our immune systems. The nutrient-rich germ portion and the nutrient and fiber-rich bran portion of grain is removed during the milling process. As a result, ingesting these processed grains impairs your body’s ability to control blood sugar. Flour contains substantially lower amounts of vitamins, minerals, and fiber than in the past. Your body treats the small flour molecules like sugar with the same risk of developing the diseases mentioned earlier. This is independent of the gluten molecule that many people with celiac disease are allergic to, which creates its own havoc within the gastrointestinal system. Extruded grains such as breakfast cereal, as well as puffed wheat, puffed oats and puffed rice are processed using high heat and pressure which makes them virtually indigestible. This creates a food that is even worse for your body than sugar. It is no wonder that breakfast cereals are fortified with vitamins and minerals. Sprouted whole grains, however, unlock the essential vitamins and nutrients that are naturally present within the grain. Sprouting neutralizes phytic acid, which is known to block the absorption of nutrients by the intestinal track, as well as a number of other enzyme inhibitors making this form of grain more nutritious. Does milk really do a body good? -You can get much more vitamin D from just a few minutes of direct sun exposure than from milk. Research suggests vitamin D is more important than calcium for bone health. -Milk products have never been shown to reduce fracture risk and may also increase your risk of death due to the high quantity of natural sugar (lactose) found in milk (Michaëlsson K et. al 2014). If I keep eating these foods, what can happen? The side effects of a nutrient-deficient diet are more profound than you have probably ever imagined. Foods that are unhealthy are the exact ones that are subsidized by the government, so they are made more affordable, which promotes a vicious cycle of greater consumption and illness. Consuming disease-promoting, nutrient-deficient foods over decades not only reduces your intake of vital nutrients, but also increases the burden on your body, speeding up the depletion of nutrients from your body. A new field of nutritional genomics is beginning to unlock the secrets of the effects of food and nutrition on your DNA. Scientists can now study how food and nutrients change the way your cells use your DNA code and the proteins made from it. If the cells are not working optimally, this sets the stage for a variety of illnesses mentioned previously, as well as mitochondrial dysfunction believed to be involved in the onset of cancer, inflammatory and autoimmune diseases. It is not a question of if, but rather when a disease will interrupt your busy lifestyle. What are some easy things I can do to improve my diet? You can start by eliminating or significantly reducing your daily intake of sugar, flour and dairy products and increasing your intake of fresh, local vegetables and healthy proteins every day. Michael Pollan, a journalist and the author of numerous books on food including, “The Omnivore’s Dilemma” and “In Defense of Food,” believes you should eat local food closest to its natural state. While changing one’s dietary habits is no easy task, you will begin to see changes within three to six months. Our patients have reported improved sleep, greater energy and focus, as well as improved vision, stronger hair and nails, and better looking skin. We are especially excited to hear patients report that they have discontinued blood pressure, cholesterol, diabetes, anti-depressant and reflux medications as a result of these dietary changes. Once you start feeling better it is very hard to return to your old diet. Vegetables and Fruit Protein from grass-fed, hormone-free, antibiotic-free and non-GMO sources are ideal and are good sources of protein as well as omega-3 fatty acids and other nutrients. Eat animal protein including beef, lamb, poultry, eggs, organ meats and homemade gelatin-rich bone broth. Eat fish and shellfish, but choose wisely as our oceans are polluted (small, wild fish are preferred over larger, farm-raised fish). Protein Protein from grass-fed, hormone-free, antibiotic-free and non-GMO sources are ideal and are good sources of protein as well as omega-3 fatty acids and other nutrients. Eat animal protein including beef, lamb, poultry, eggs, organ meats and homemade gelatin-rich bone broth. Grains Sprouted whole grains are a good source of vitamins and minerals. Eat sprouted whole grains that have not been highly processed such as bulgar, spelt, kamut, buckwheat, oats, farro and brown rice. Dairy Dairy can be a rich source of nutrients. Grass-fed butter, cheese, yoghurt and other whole milk products are very healthy. Consider sheep or goat milk products over cow milk if available. Remove or limit consumption of pasteurized and homogenized milk in addition to skim, low-fat and non-fat milk, cheese and yoghurt products. Sugar No nutritional value Reduce or eliminate intake of all sugar products including cereal, granola and energy bars, fruit yoghurt and candy. Remove artificial sweeteners as they are more toxic than sugar. Oils Good source of important fatty acids Extra virgin olive oil is safe to use in it’s natural state on salads or in low heat applications. Coconut oil is better suited for high heat applications. Remove all vegetable oils and canola oil as their production makes them pro-inflammatory. Beverages Essential for keeping hydrated, flushing out toxins from your body and can be a source of antioxidants Replace regular and diet soda, fruit juices and sugary iced tea with water, lemon water or dilute tea. Drink more tea and less coffee as it has lower levels of caffeine and is a great source of antioxidants. To get you started with your new dietary habits, make sure you include proteins, healthy fats, vegetables and fruits with each meal to feel satiated. Eat a colorful variety of local vegetables more often than fruits. Get to know the vendors at the local farmer’s market and buy foods that are in season to maximize their nutrient content. Cook your own food, as restaurants focus on flavor, not health. Exclude or greatly minimize your consumption of prepared and processed foods from crinkly bags, boxes and cans. Snack on raw or sprouted nuts, seeds, raw vegetables or some fruit between meals if needed. Become an expert label reader and learn more about the scientific ingredients in food. Generally, if you cannot pronounce it, you should not eat it. Take time to chew and digest your food since poor digestion equals starvation. Limit water intake during meals to allow the acid in your stomach to digest protein. Walking and eating is not eating. Sit down and really take time to enjoy your food with family and friends. Davis, William. Wheat Belly: Lose the Wheat, Lose the Weight, and Find Your Path Back to Health. Emmaus, Penn. : Rodale, 2011. Print. “Got Proof? Lack of Evidence for Milk’s Benefits – Dr. Mark Hyman.” Dr Mark Hyman. 05 July 2013. Web. 16 Jan. 2015. “Lactose Intolerance.” Genetics Home Reference. Web. 15 Jan. 2015. Michaëlsson K, Wolk A, Langenskiöld S, Basu S, Warensjö Lemming E, Melhus H, Byberg L. Milk intake and risk of mortality and fractures in women and men: cohort studies. BMJ. 2014 Oct 28;349:g6015. Print.